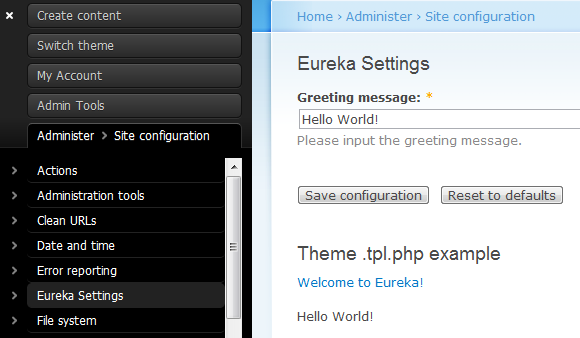 Drupal – Create Custom Module Admin Settings Page | Eureka! In order to add the settings page, we need to add a new menu in in hook_menu() and the corresponding callback function which is ykyuen_admin() in this example. * Form builder for ykyuen_admin form. 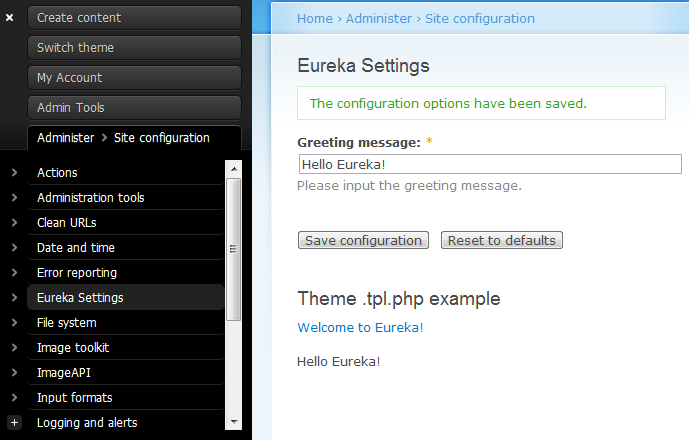 Clear the Drupal cache and you could access our module settings page now. Change the greeting message and save the form.